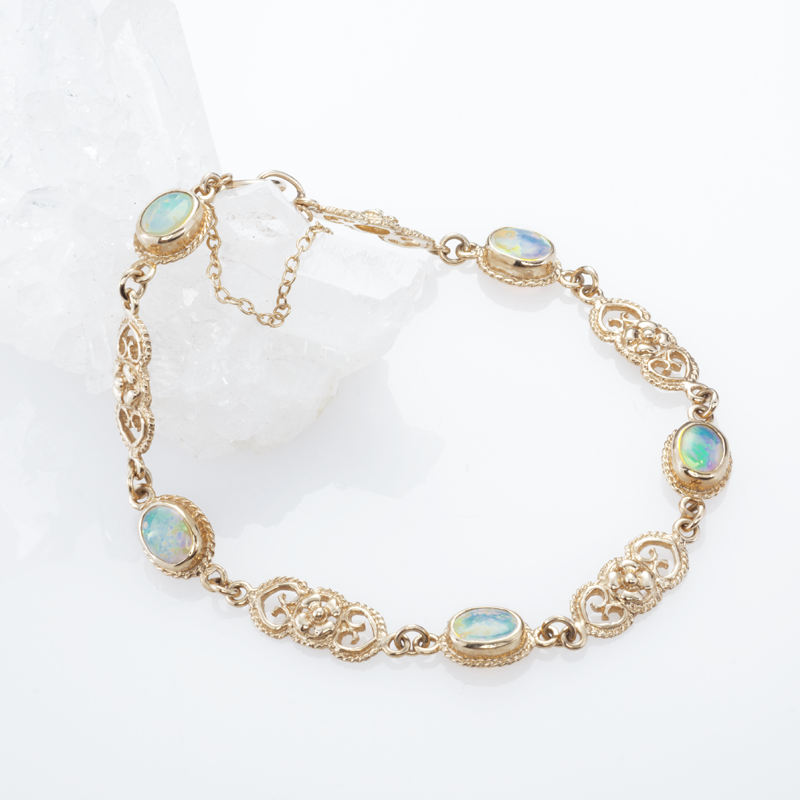 Exclusive Classically Celtic Opal BraceletAn extravagance of opals, five smooth ovals weave their lustrous magic between ornate 9ct gold links, featuring a Celtic knot of intertwined hearts. This is exclusive Shipton & Co craftsmanship, expressing heirloom quality in its classical design. Opal size 7 x 5mm. Bracelet length 7 1/2" with safety chain.